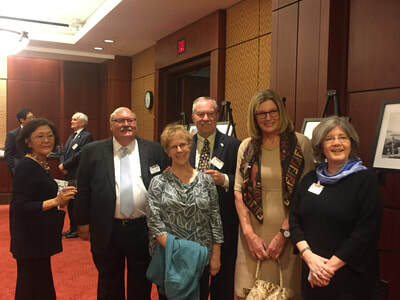 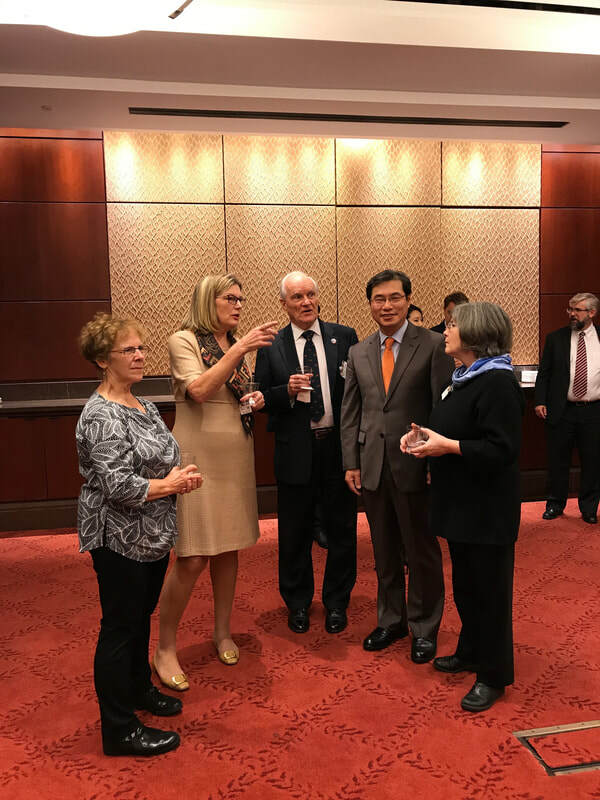 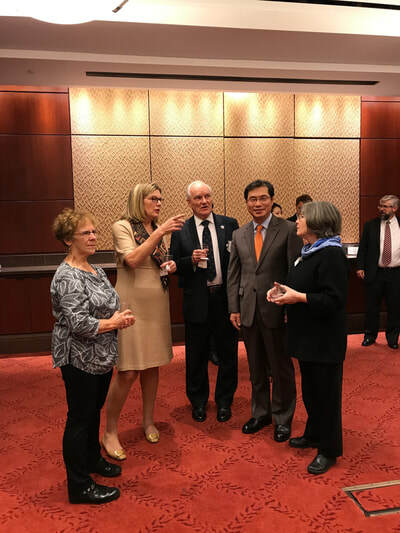 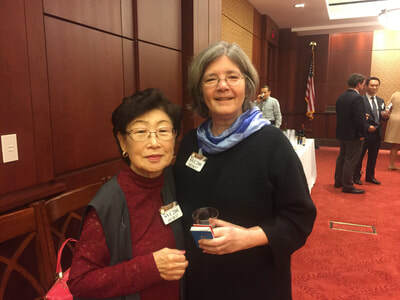 Approximately 60 people gathered at the Capitol Visitor's Center to celebrate the strong ties of friendship between the United States and South Korea. 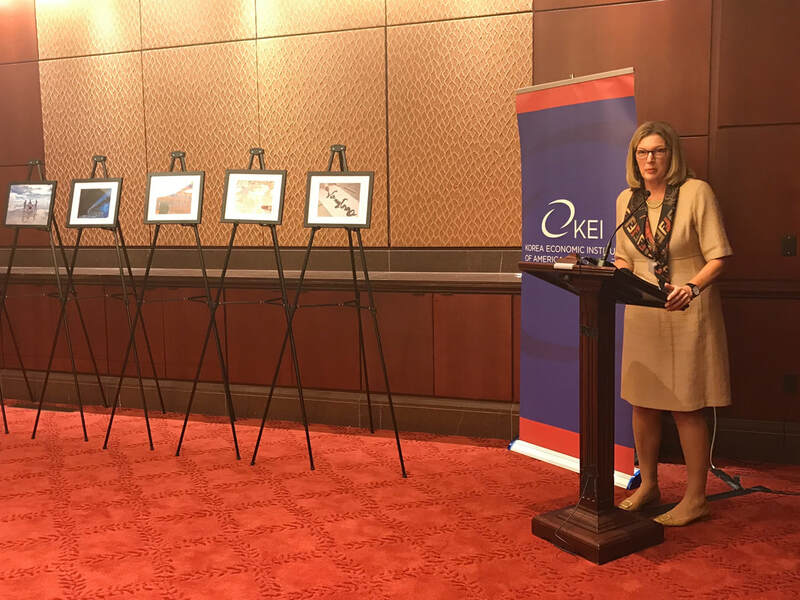 Kathy Stephens, former US Ambassador to South Korea, gave some remarks about the long and deep friendship between out two countries. 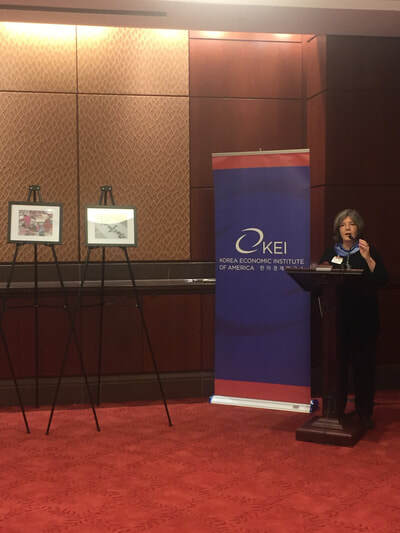 She referenced the title of last year's museum exhibit (Beautiful Journey, Endless Friendship) and suggested that equally apt would be - Beautiful Friendship, Endless Journey. Around the room were a selection of photos that traced the arc of our long relationship and the significant changes in Korea over the past 65 years. 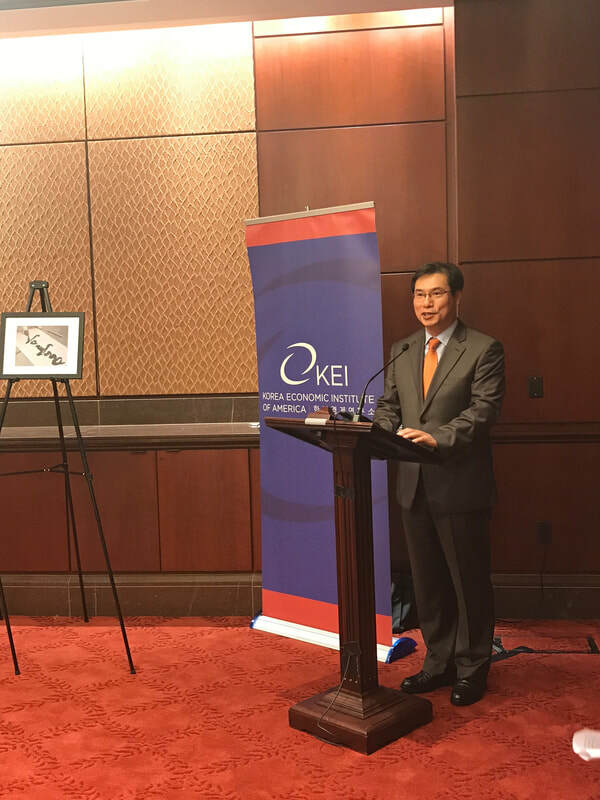 Included in the display were photos from the late 1950s through today -- many images were from the Friends of Korea book, Through Our Eyes, and others were contributed by recent Fulbright language teachers.